The Bostitch P50-10B plier stapler is a type of carton stapler used for the closing of corrugated inserts and trays. 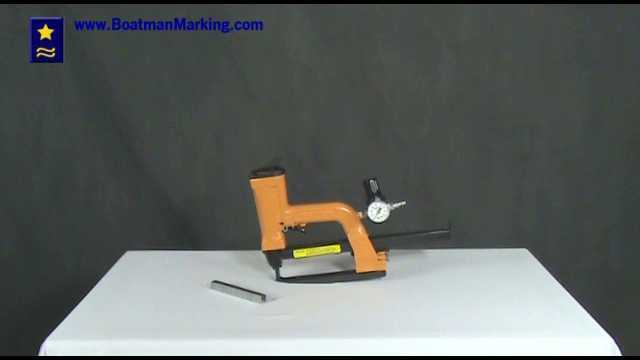 This carton stapler is air driven for fast production and easy use. The P50-10B plier stapler can make short work of large jobs. It uses the Bostitch SB103020 box staple. The Bostitch SB103020 staple has a range from 3/8,1/2 and 5/8. The P50-10B is an excellent choice for a plier stapler and is used worlwide. Please give Boatman Marking a call if you have questions.